hahaha all of these pictures are so cute! These are absolutely adorable and you look fabulous too. How sweet! That is too cute. I have stopped by before as well Crissy. Love your fun style. I want that turtleneck, too. The photos of you and your boy are adorably sweet. Welcome by my blog as well, I love making friends. Thanks. Thank you so much Ada! So glad you love the photos. My son sure is sweet! Oh my word, this is the most adorable photo shoot I have ever seen. Too cute. 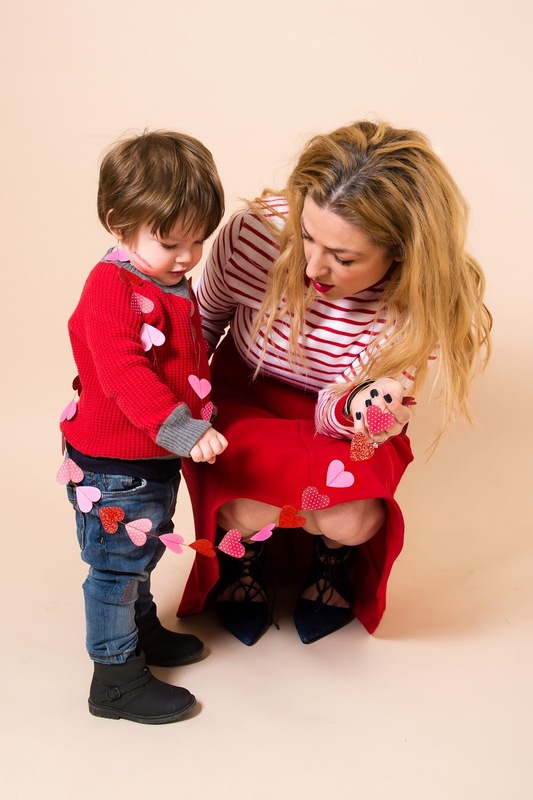 Cutest V alentine photos on the whole of the blogsphere! I'd pay thousands for a little kiss from your sweet boy. This is SO cute. I remember I set up a V-Day backdrop when my kids were younger one time and I still cherish those photos. I love your striped top with the elbow pads! This is beyond adorable!! I think I need to try this with my little man! This is so stinking cute! I love the kissing booth! How cute! 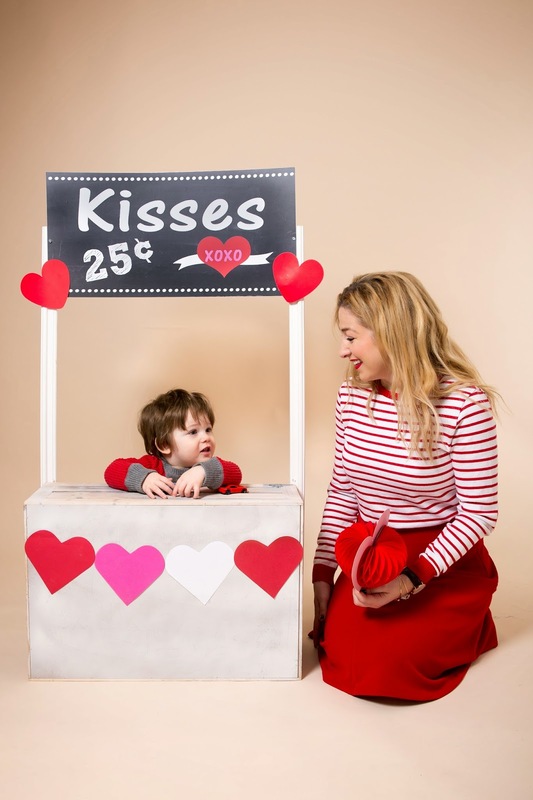 I love your kissing booth and your son is adorable! How Precious! Thank so much for joining my link up this week. You and your son are gorgeous! hope to see you back next week. These pictures are so precious!!! Thank you so much for sharing. Awwwww..the baby is soooooooooo cute and these photos taht red color looks fab in winters.